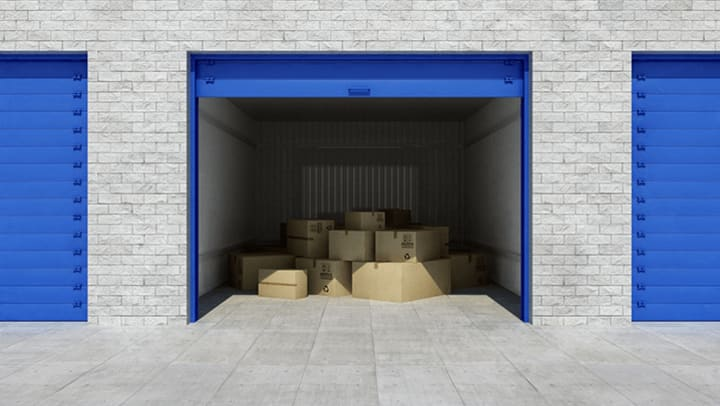 Whether you’re downsizing, moving, or you just desperately need a little bit of extra space in your home, a storage unit can be a total lifesaver. While your storage unit can be used to house just about anything you own, there are a few things that you should never keep in a storage unit. Food and perishable items. While most canned foods can be safely stored inside of a storage unit, most foods (including pet food) should never be kept in your unit. Food spoils and rots fairly quickly. No matter how tightly you pack it, or what type of container you use, it’s going to mold, go bad, or attract pests. Not only does that leave your unit at risk, but it puts everyone else’s units a risk, too. Hazardous materials. Even though this sounds like an obvious statement, some toxic materials aren’t well-known for the hazards they bring. Fertilizers and certain cleaning chemicals can be harmful if they aren’t stored properly. Other common household items like baby powders and hair dryers can carry asbestos, that if released and inhaled can cause diseases such as mesothelioma. Liquids. As a rule of thumb, it’s best to keep any liquids out of your storage unit. The biggest reason for this is because it can easily cause a leak that can damage your other items in the unit. Not only could it ruin your once-perfect items, but if the liquid is hazardous, you could have another slew of problems on your hands. Plants, animals, or anything else that’s living. This may be the most obvious thing that you absolutely cannot store within your unit, but believe it or not, some people still try. Things that need air to live will not do well in a storage unit. Also, things that are no longer living should not be stored in your unit, either. If you wouldn’t keep it in your home (for obvious reasons), don’t keep it in your storage unit. You. It’s okay for actors on TV to be “living” in storage units, but it’s not okay for you to hunker down and call your unit home. Storage units aren’t meant to be lived in. They can get extremely cold in the winter, and blistering hot in the summer. Units don’t have access to bathrooms or water, so dehydration would quickly become a problem. Not to mention, you could get locked in there. Long story short, it’s always better to go with another home. Even though climate-controlled units could help control some of these dangers, it’s best to just avoid them completely. You know what they safe - it’s better to be safe than sorry. If you have a specific question on what you can and cannot store in a unit, feel free to reach out to us here! We love hearing from you and always do our best to keep you informed.